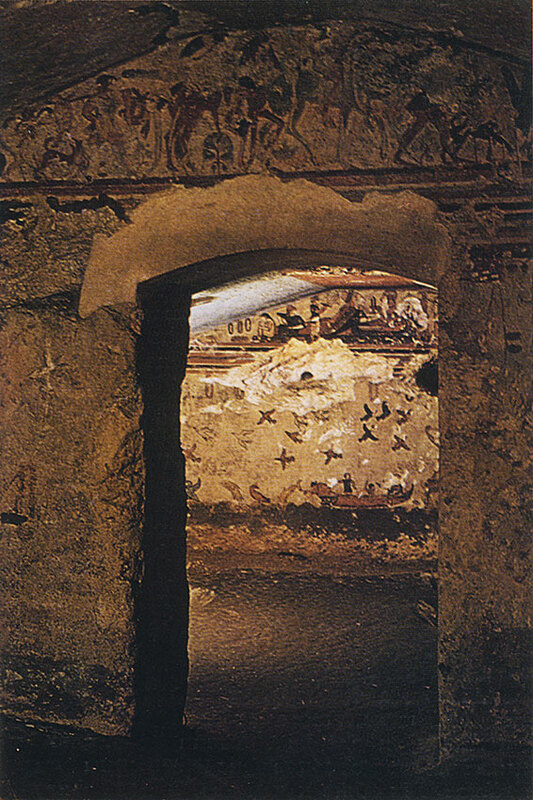 Wall-painting of the Hunting and Fishing Tomb in Tarquinia. © Photo, text: G. I. Sokolov. Iskusstvo etruskov. M., Izd-vo “Iskusstvo”, 1990, s. 117, il. 68.